Gross domestic product expanded at 2.5 percent annual rate, the Commerce Department said on Friday, after growth nearly stalled at 0.4 percent in the fourth quarter. The increase, however, missed economists&apos; expectations for a 3.0 percent growth pace. The Bank of Japan has sharply upgraded its outlook for the world’s third-largest economy and raised its forecast for inflation even as data showed the nation slipped deeper into deflation in March. On Friday, as the BoJ released its semi-annual report on prices and economic activity, it said that its policy board members expected inflation to average 1.4 per cent in the next fiscal year, rising to 1.9 per cent the year after. ... While that figure is just short of the 2 per cent target imposed on the bank by Japan’s new prime minister, Shinzo Abe, it represents a dramatic shift from the BoJ’s expectations in January, when board members said they expected prices to rise at an annual rate of 0.9 per cent in the 2014 fiscal year. On Friday, the government is expected to announce new, less-stringent deficit targets, which means it won&apos;t have to take significant new austerity measures. In addition, it will present new "structural reforms" to deregulate industries such as telecoms and energy and to eliminate regulations imposed by regional governments. Federal Reserve Vice Chairman Janet Yellen has fought for more than a decade to put attacking unemployment and boosting growth on an equal footing with fighting inflation at the heart of the Fed’s policy. After years on the periphery, she now finds herself at the center of the prevailing view at the Fed and at central banks around the world, just as the spotlight swings to her as a potential successor to Chairman Ben S. Bernanke. Our research, and even our credentials and integrity, have been furiously attacked in newspapers and on television. Each of us has received hate-filled, even threatening, e-mail messages, some of them blaming us for layoffs of public employees, cutbacks in government services and tax increases. As career academic economists (our only senior public service has been in the research department at the International Monetary Fund) we find these attacks a sad commentary on the politicization of social science research. But our feelings are not what’s important here. Bankers who behave recklessly would be jailed under a new law being considered by MPs and peers on the banking commission, whose final report is due next month. Several members of the commission, which was set up by George Osborne after the scandal over the London Interbank Offered Rate, argue for a new law which would hold bankers personally liable for catastrophic losses. “If you don’t get reception, that gives you peace of mind,” Leo Bruce, 44, from Maspeth, Queens, said as he waited for a train at 18th Street. But when it arrived, Mr. Bruce tested the new system, placing a call as the doors closed. “Hey, how you doing, hon?” he shouted into the phone. “You going to be there by 2:30?” About a dozen passengers turned toward him, displeased, as the train hurtled toward 14th Street. The investment bank said that its adjusted profit slid 17 percent from the same time a year ago, to $37 million, as fewer of its advisory assignments closed during the period. Total revenue fell 17 percent as well, to $422.1 million. Lazard’s profit amounts to 28 cents a share, missing the average analyst estimate of 32 cents a share, according to Standard & Poor’s Capital IQ. New York&apos;s attorney general is dropping a claim for damages in a high-profile civil lawsuit accusing the former chief executive of American International Group Inc, Maurice "Hank" Greenberg, of defrauding investors, according to a letter sent by the attorney general&apos;s office on Thursday. ... The office will continue to pursue other remedies against the defendants, including a potential ban on working in the securities industry or serving as an officer or director of a public company, the letter said. Commerzbank must pay a group of bankers a combined 52 million euros ($68 million) in bonuses after the German bank failed on Friday in its appeal to overturn a previous legal ruling in London. Last year, a British court said 104 investment bankers in London were entitled to the bonuses, plus interest, which had been promised to them by Dresdner Bank in 2008. Britain’s new banking regulator has rattled lenders by holding off disclosing how much capital each firm will have to raise after ordering the industry to plug a 25 billion-pound ($38 billion) shortfall by the end of the year, three people with knowledge of the discussions said. The Prudential Regulation Authority, the unit of the Bank of England that took over supervision of the industry from the Financial Services Authority this month, isn’t expected to detail the steps all banks need to take to bolster their balance sheets until mid-May at the earliest, said two of the people who asked not to be identified because the talks are private. Banks had expected to be told in March, one of the people said. Yields on $397.3 million of top-rated securities sold yesterday by Redwood Trust Inc. (RWT) were 175 basis points more than benchmark swap rates, up from 170 basis points on bonds it sold earlier this month and 97 basis points, or 0.97 percentage point in January. Sales this year of home-loan bonds without government backing have already surpassed the highest annual total since the debt sparked the global financial crisis. “Suddenly, in the last couple of months, the love has dissipated” as investors demand to be paid more relative to so- called agency bonds, said Brad Friedlander, a managing partner at Atlanta-based Angel Oak Capital Partners, which oversees about $2.5 billion. Without any debate, the Senate unanimously passed legislation giving the Department of Transportation flexibility to use unspent funds to cover the costs of air traffic controllers and other essential employees at the Federal Aviation Administration. The House of Representatives, which is expected to approve the measure, could take it up on Friday, capping a feverish effort by Congress to end the flight delays that were snarling traffic at major U.S. airports and angering travelers. Meet Omar Borkan Al Gala, the devilishly beautiful man who might just be one of the three deported from Saudi Arabia last week for the crime of being too gorgeous. ... Borkan Al Gala, a Dubai native, posted a link to an article about the deportation on his Facebook page. Although he didn’t admit to being one of the men in question, his dashing good looks and sly smile were enough to set the Internet abuzz. Several websites have pointed to him as one of the gang of three. ... Borkan Al Gala isn’t doing much to stop the speculation. He continues to post glam beauty shots accompanied by swoon-inducing quotes. “The beauty of a woman must be seen from in her eyes, because that is the doorway to her heart, the place where love resides,” he wrote. 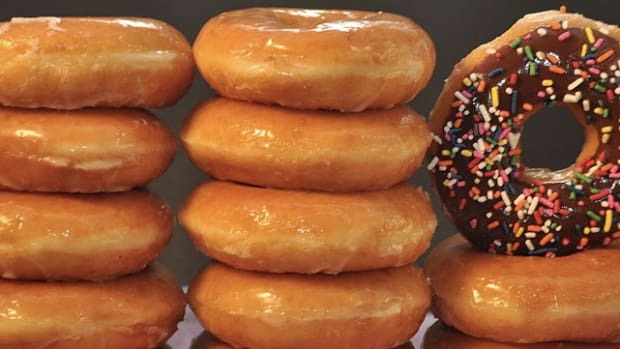 UBS tops estimates; Banks' risky lending jumps; Hedge funds want Hillary; Florida man arrested when police confuse doughnut glaze for meth; and more.